With an installed capacity of 3 tons per hour our shortening processing division is capable of making other products for the baking and confectionery industry like margarine, vegetable ghee, and different types of shortenings. The process begins from the external storage tankers connected in a systematic way to load, discharge, recycle, what is inside the silos. These silos are insulated to avoid heat loss during oil heating. Each of the four storage tankers has a capacity of 50 tons of oil by design. There is a sturdy butterfly stainless and food grade valve to control each tank independently. At the entrance way to the factory is a filter to avoid any foreign material incase passes to the system. Once oil is called by the programmer for mixing with other possible ingredients in automatic it gets to the mixing tank spend some time for homogenization and transferred to the buffer tank when production is started. By this cycle the input material calling will continue till the next production schedule. From the mixing operation the crystallization process overtakes the assignment to change the input combination to the desired morphology of the fat structure. The crystallizer has three consecutive stages of cooling each designed to drop the product by ten degrees and leaving the chamber dropping its temperature by about 35 degrees. The final stage of the crystallization process is responsible for the final granular structure of the end product depending on the need of the customer. The customer may demand very soft and fine structured shortening or a grown structure of the product in big coagulates. Finally after completing the softening process by the final stage of crystallization the work-in-progress material joins the packaging section. Packaging takes place either in cartons of different sizes, canes, plastics, etc based on the demand of the customer. 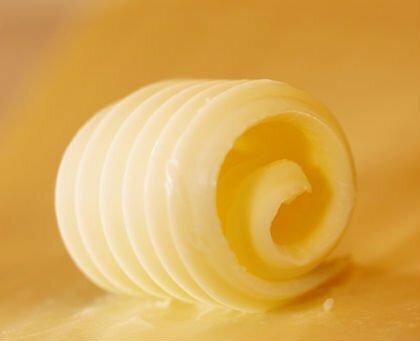 Margarine and ghee pass almost same process and packaging technology. With ghee packed in canes and margarine in different sizes.